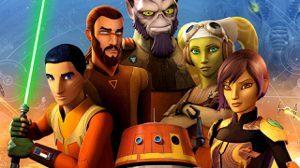 Star Wars Rebels Creator on Season 5 Possibilities, Ezra's Fate, and the Show's Legacy - WebGamer.NET | The Website for Gamer. "Where is Ezra?" Dave Filoni and the Star Wars Rebels cast discuss the show's legacy what they hope to learn about their respective characters in the future.